Since I received a tube of Dr. Paw Paw’s Original Balm, I haven’t been able to go anywhere without it. It goes everywhere with me and is useful for so many things. It helps with dry cuticles, works as a lip balm (and is particularly fab for healing if your lips have cracked), helps to tame flyaway hairs, can be used on your eyebrows and in particular it helps to soothe dry areas of skin. 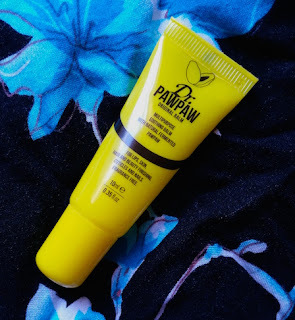 Take a look at my full review of Dr. Paw Paw's Original Balm here. You can purchase it from Look Fantastic. These have been my go-to body moisturisers since I first tried them. I am yet to find a scent that I dislike, and every now and then I like to mix them up to create new blends that suit my mood. They're not the most moisturising products so I find them better suited for summer, but it hasn't stopped me buying them all the way through autumn and winter too. However, if you do prefer a little extra, Korres also sell Body Butters that come in the same scents as the Body Milks. Take a look at my full review of the Korres Body Milk here. This body wash by Skin & Co is so softening, you can almost get away without the use of moisturiser. 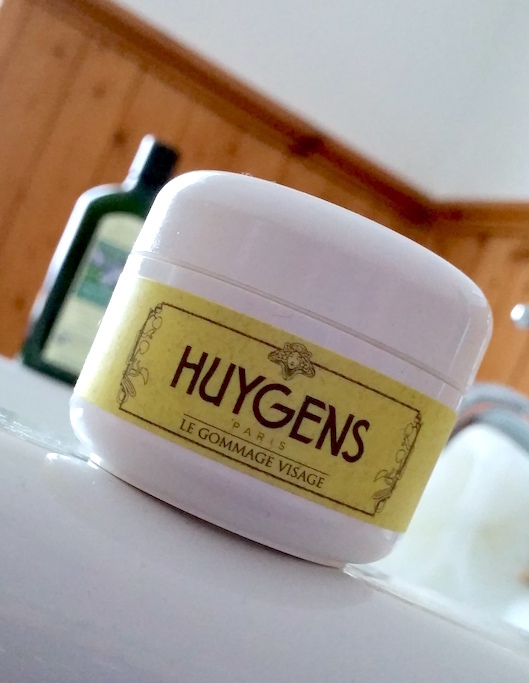 It smells divine and it is such a luxurious product that I adore using. It really makes every bath/shower feel extra special. When you swap back to a different wash, you can really tell the difference. Take a look at my full review of Skin & Co's Body Gel here. You can purchase it from Birchbox. There is something about Benefit's Roller Lash mascara. When I first used it I was like, “yeah, this is pretty good”, but the more I use it, the more I fall in love with it. In my review I discussed how it wasn’t so great with adding volume, but now that I’m settled with it I can tell you that simply coating up your lashes with your upper waterline lined with a black eyeliner will cover all bases. It’s the perfect false lash effect and it stays put all day! 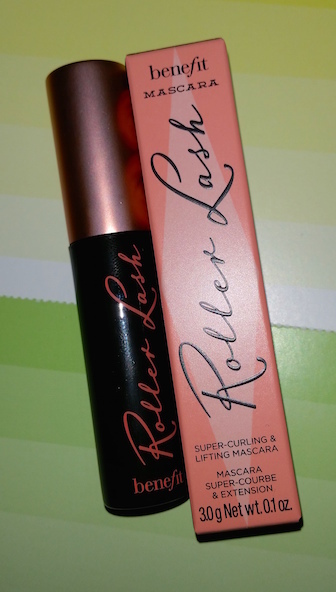 This is definitely my go-to mascara of the moment. 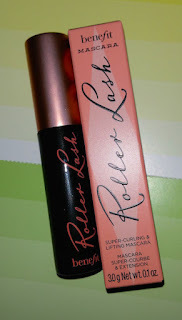 Take a look at my review of Benefit's Roller Lash here. You can purchase it from Benefit. This face wash may look a bit odd when spotted in your bathroom, but it works absolute wonders. It is styled on bread (hence the name, Movis/Hovis, get it? ), but it also contains it as an added exfoliator. This stuff helped to fix up my outbreak of perioral dermatitis and it also works a treat on clearing up blemish-prone skin. It is still a staple in my skincare routine for keeping my skin clear and comfortable and it is the first wash that I will recommend to anyone and everyone due to it being great for all skin types. 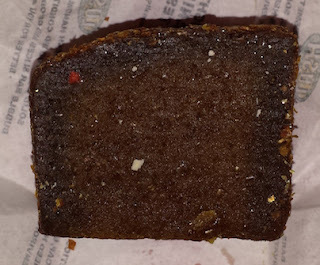 Take a look at my full review of Lush's Movis here. You can purchase it from Lush Cosmetics. If you haven't heard of Roots & Rituals before, then I'd like to take this opportunity to introduce them to you. The founder, Karishma, takes inspiration from the Ayruveda and adds it to her knowledge acquired from her degree in Medical Biochemistry and her experience of working for pharmaceutical companies to come up with a brand that has the West meeting the East. 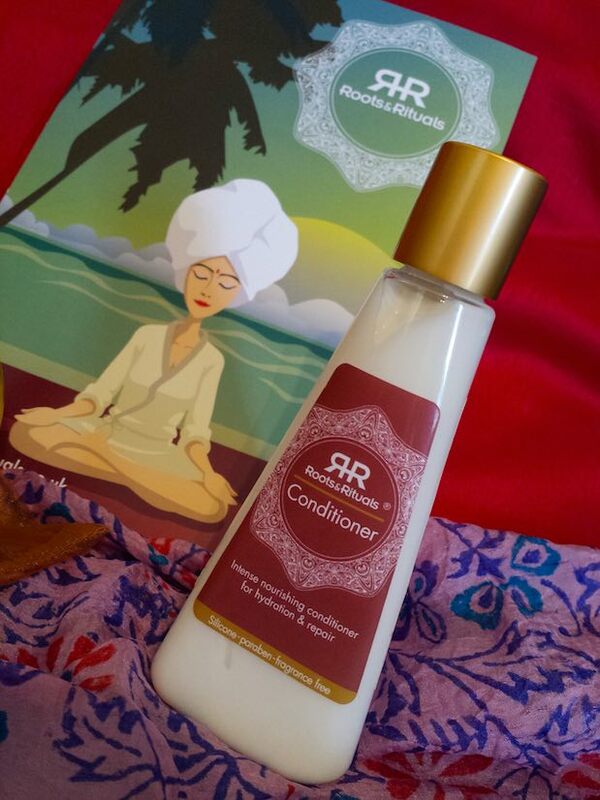 Turning her shoulders on low quality synthetic ingredients, she brings us Roots & Rituals, a brand that uses top quality, 100% natural ingredients that really work for your hair. This Conditioner leaves the hair feeling so silky smooth, I’ve never known my hair to feel as good as it does when I use it. The smell is also divine and it leaves you feeling relaxed and pampered after every wash. You really need to try it! Take a look at my full review of the Roots & Rituals Conditioner here. You can purchase it from Roots & Rituals. I find myself asking the question continuously, but could this really be the best exfoliator ever? I'd definitely like to put it forward for that title at least. This exfoliator isn’t the grittiest, but it is the perfect blend between exfoliating and softening. 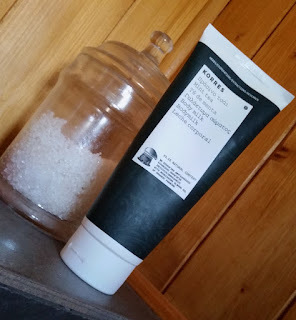 I find exfoliators to lean one way or the other, but this one is in that Goldilocks Zone - it’s just right. 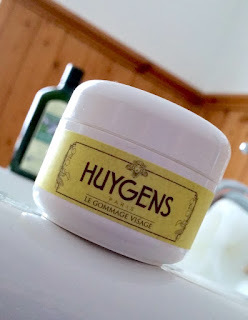 Take a look at my full review of the Huygens Exfoliating Cream here. Not to forget the little ones, this year again sees me adding a Childs Farm product to my Top Products list. There is definitely something about Childs Farm that always keeps me buying. There are so many things that I love about the brand as a whole (which I have outlined in my reviews of their products on this site), but their products are fantastic too. My children love the characters on the bottles (who even have their own TV show on Cartoonito) and the scents are really cheerful. Most importantly though, they work really well and don't irritate eczema-prone skin. The Conditioner makes the list this year as it leaves the hair feeling super soft and smelling of strawberries and mint. It is easy to rinse and it doesn't take much product to disperse through the hair, meaning that conditioning will be over in a flash for even the most impatient of kids. The smell even lingers in the hair for hours, so you catch a whiff every time your kids come running over for a cuddle. If you have kids and you haven't tried Childs Farm out yet, I highly recommend that you give them a try. Take a look at my full review of the Childs Farm Conditioner here. You can purchase it from Boots. Choosing my top products this year was pretty difficult. However, there was one that was stood out more than enough to be my Top Beauty Product of 2015, and that is Mirenesse's Mattfinity Lip Rouge. To be a top product, you need to stand out in some way, and this one definitely does for me. This liquid lipstick is so long-lasting and vivid, not to mention easy to apply and non-drying. It's huggable lip cushion applicator is simple to use and dispenses the perfect amount of colour across the lips. 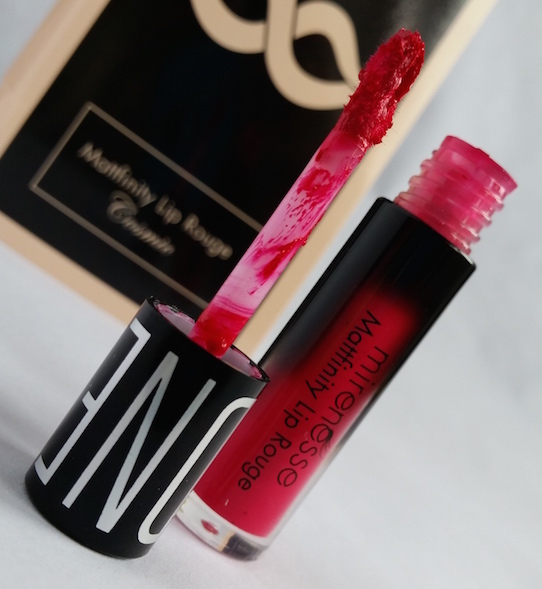 It has a matte finish that stays put so is a great choice if you like to wear lipstick out for dinner or if you need something to stay put on a night out. It comes in a nice collection of colours and each will leave you wanting more of them. This is a lipstick that you definitely need to try. It's honestly fantastic. Take a look at my full review of the Mirenesse Mattfinity Lip Rouge here. You can purchase it from Birchbox or Mirenesse. What are your top products of 2015? Do you disagree with any of the choices above? *Some of the items featured in this post were sent to me to review on the blog over the year, but that hasn't influenced my decisions on including them in this list. All items on this list were chosen honestly by myself.